So there I was minding my own business, when I stumble upon Awesomely Luvvie’s Facebook post about a new video game called Hair Nah that gives you a trial run of the hair struggle experienced by most black girls at some point in their life. 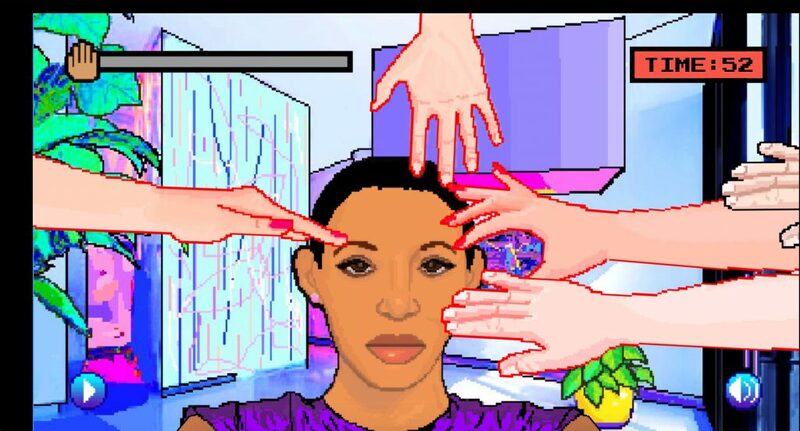 This game warmed my soul and allowed me to take out my real life frustration on virtual “hair touchers”. Created by Momo Pixel, the game is so relevant and scarily accurate. LOL! When I first started playing, I must admit, I tapped the left and right keys lightly and chuckled as I attempted to swat the never-ending hands away; but there was a turning point – I’m not sure where – when I became more committed to my quest and started pressing them keys harder and faster, as I remembered my own experiences of the numerous hands that have reached for my hair. This game is hilarious, but a good way to release your frustrations on hair touchers in the virtual world. Try it for yourself. It’s Hilarious!